Satan Senate Democrats are pushing a bill they introduced yesterday that will revoke President Trump’s executive order establishing extreme vetting. They claim the bill is discriminatory. Duh. Yes, it is discriminatory. I appreciate discrimination against terrorists. Keep them out! Unfortunately, the only way to do that is to vet those immigrating from the six subject countries a lot more closely than people immigrating from friendlier countries. Call that discrimination if you like. I appreciate it! The Satan Senate Democrats argue that President Trump’s extreme vetting is also counterproductive, which is true. It is counterproductive to keeping American citizens in perpetual danger of terrorist attacks. 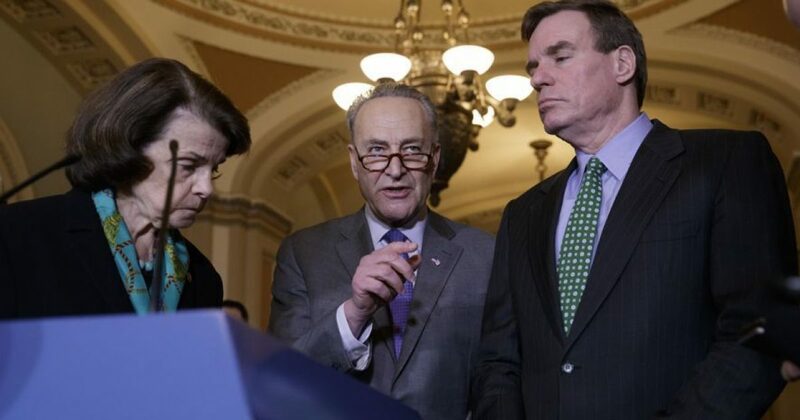 Satan Senate Democrats either enjoy keeping Americans in danger of terrorist attacks or are not bright enough to connect the dots between extreme vetting and a safer America, likely both. The leftists also claim that not enough terrorist attacks are committed by immigrants from the six subject countries to justify the ban. How many is enough? One is too many, in my opinion. One thing is certain. Political correctness will not stop terroristic attacks. We have a Muslim problem! Baptists are not blowing up skyscrapers and cutting the heads off of Christians. Muslims are doing this and they are doing it in the name of Islam. If it were my decision to make, I would ban ALL Muslims until this problem was addressed and corrected. Led by Sen. Dianne Feinstein, ranking Democrat on the Judiciary Committee, the new bill is succinct — it cancels the March 6 order that suspends the refugee program and puts a 90-day halt on most admissions from six Middle East and African countries, according to The Washington Times. “President Trump’s discriminatory executive order isn’t about strengthening our national security. It’s a transparent effort to fulfill his campaign promise to implement a ‘Muslim Ban,’” Mrs. Feinstein said in a statement. She was joined in sponsoring the legislation by three dozen other members of the Senate Democratic Caucus. Mr. Trump’s original extreme vetting order, issued Jan. 27, met with resistance from federal courts, which halted most of its provisions. The president tried to write a narrower version this month, but it, too, is being challenged in the courts.